According to the incredible web site Unseen 64, which is dedicated to revealing and discussing unreleased, canceled, and beta titles, Dino Crisis, much like other Capcom PS1 title Resident Evil, was going to be ported to the Gameboy Color. You can see in the posting that there were some impressive screenshots but I fear that much like the playable Resident Evil game, it falls quite short in terms of gameplay. Still very interesting, follow the link to check it out. Dino Crisis really sounds like a winning formula if, like me, you are are fan of survival horror and dinosaurs. What could possibly go wrong? Well its time to revisit this Sony Playstation 1999 release and see if it stood the test of time or should have remained extinct. 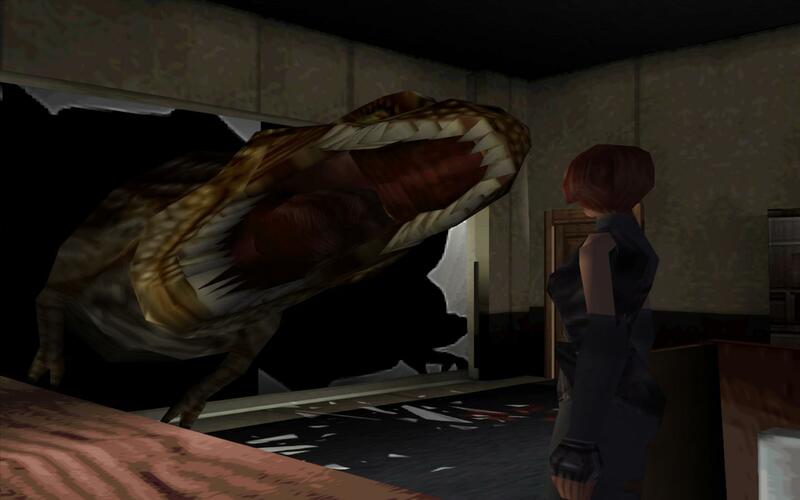 Dino Crisis released when survival horror was hitting a peak in the industry, at least in terms of the “tank-like” control system. The Sony Playstation had plenty of games like it to offer. 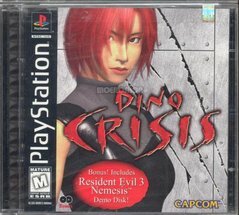 In the same year Dino Crisis released we also saw Silent Hill from Konami and Resident Evil 3: Nemesis also from Capcom. Interesting to note: Shinji Mikami – creator of the original Resident Evil – was heavily involved in the production of this game so much so his name was put on the front of the box in hopes it would sell the game. Clearly something worked as Dino Crisis managed to sell over one million copies. This week we are talking about Capcom’s survival horror titles in a dinosaur-infested facility, Dino Crisis and Dino Crisis 2. A testing ground for new survival horror mechanics, it’s interesting to see the decisions made in what is one of the more interesting two titles of the original Playstation’s late titles. 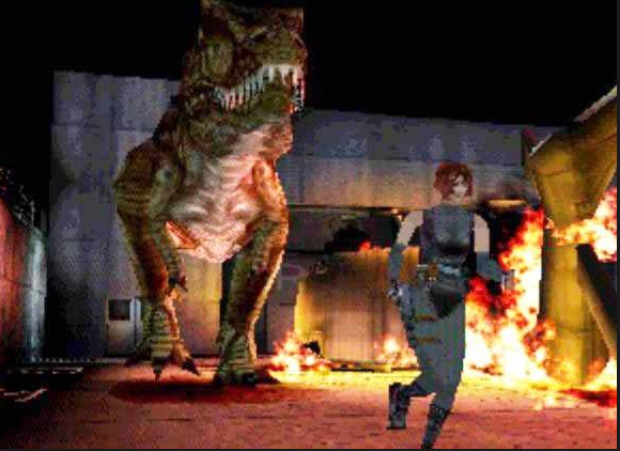 One of this week’s Retro Game Night titles kicks off the June game club with 1999’s Dino Crisis. Click on the box art above to view the video. From Resident Evil creator Shinji Mikami, this game was simply put as Resident Evil meets Jurassic Park, even at the admission of the game’s characters. In this video we play the first hour with commentary and get you set up for an interesting take on the survival horror genre. We are doing both the first and second game for June, so watch for the sequel coming in two weeks.